The New Orleans Jazz & Heritage Festival, or Jazz Fest for short, is as much about the food as it is the music. Restaurants from around the city and region serve their most popular dishes in Styrofoam containers to festival-goers who sometimes wait in lines 20 or more people deep. Jazz Fest food is a must for anyone with a ticket. 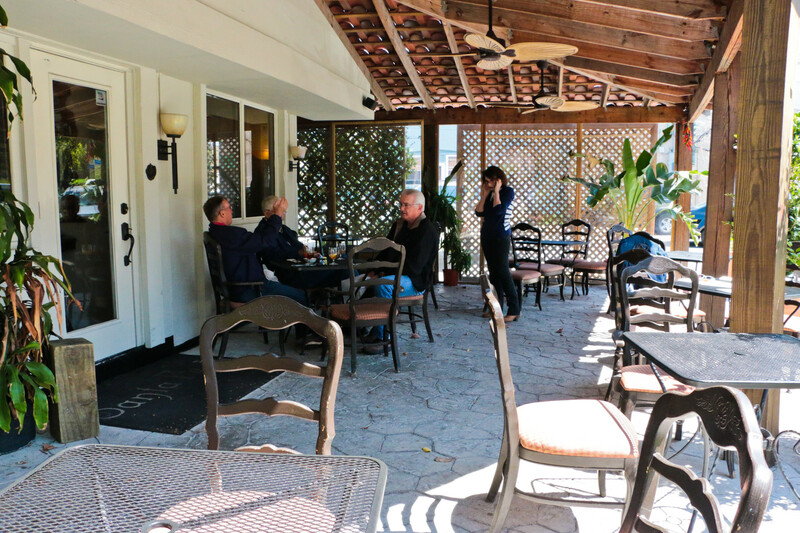 However, the myriad of local restaurants in the vicinity of the Fair Grounds, which hosts the festival, can provide a place to gear up, cool down, or enjoy a long meal on a day off from festing. Though there are too many to list them all, we have rounded up some of our favorite restaurants in the neighborhoods surrounding the festival grounds. 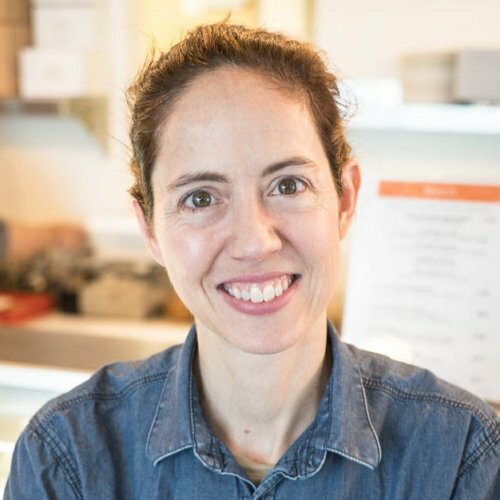 For some healthy eating, 1000 Figs offers a mostly meatless Mediterranean menu in a clean, matchbox-sized room where the tables are close together, almost family-style. 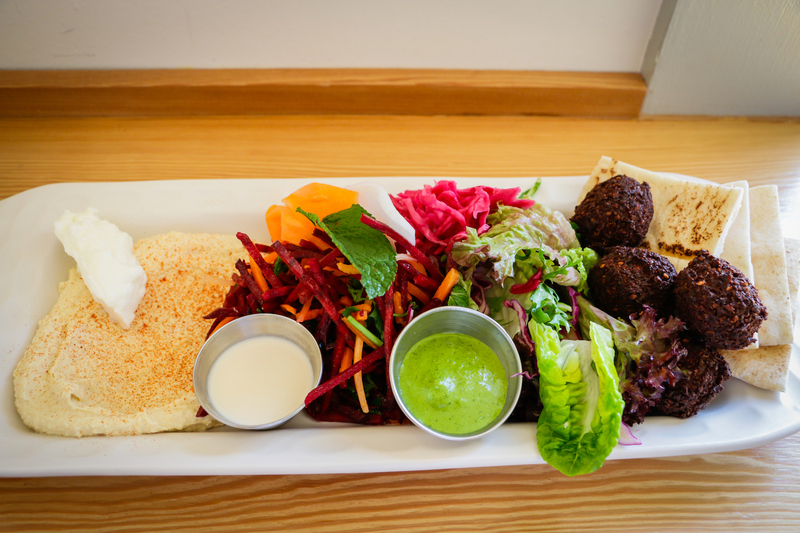 For a sampling, order the Falafel Platter, which includes hummus, tabbouleh, cucumber salad, mixed greens, and falafel. For a heartier meal, order the Lamb & Pork Kofta Platter, with yogurt, rice, cabbage slaw, and more. The front window peaks out onto Ponce De Leon, one of many roads that leads to Jazz Fest. What started as a pop-up is now considered by some to be among the best barbecue restaurants in New Orleans (up there with the Joint, Central City BBQ, and McClure’s). Regardless of what you consider the best barbecue in the city, if you like meat then a stop at Blue Oak BBQ will be satisfying. 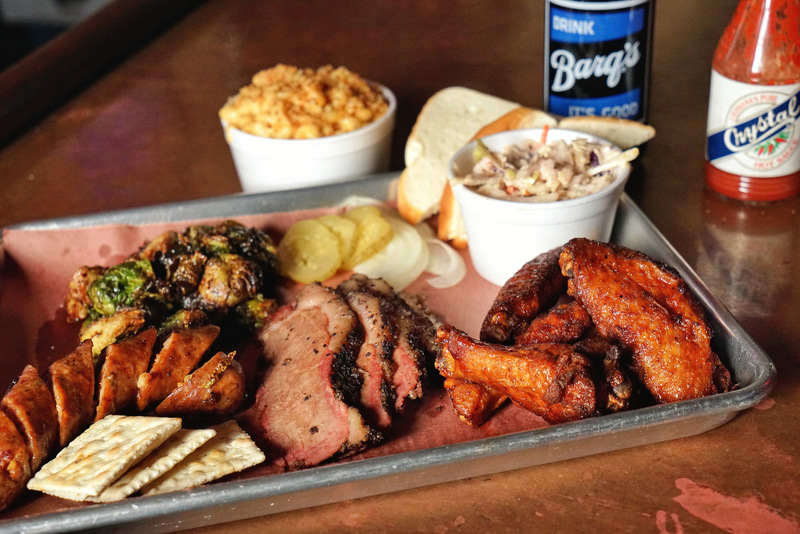 Must-try menu items include the BBQ plate, the smoked wings, and the Brussels sprouts. Buttermilk Drop opens bright and early at 6:00 a.m. 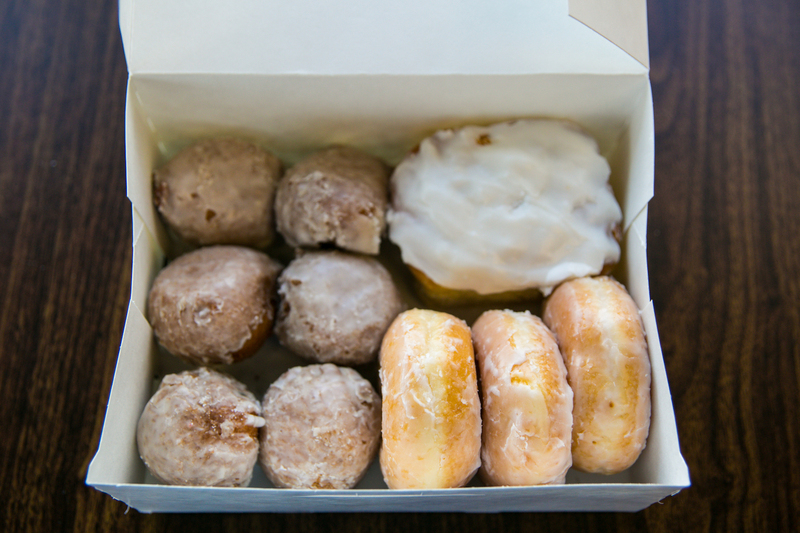 Though you probably don’t have to arrive that early to get a fresh doughnut, you might consider it a fine place for breakfast before making your way to Jazz Fest for the day. 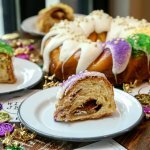 In addition to doughnuts, including the namesake buttermilk drops, the menu offers beignets, breakfast sandwiches, breakfast platters, and sides like grits and hash browns. Café Degas is intimate to say the least. The space brings the outdoors in—especially with a tree growing right up through the main dining room floor. The bar area is equally cozy. For some fresh air, several wrought iron chairs along Esplanade Avenue provide a perch to enjoy a drink and people watch as fest-goers stroll by. The restaurant will be open for brunch on Saturday and Sunday during Jazz Fest and serve dinner nightly from 5:30 to 10:30 p.m. 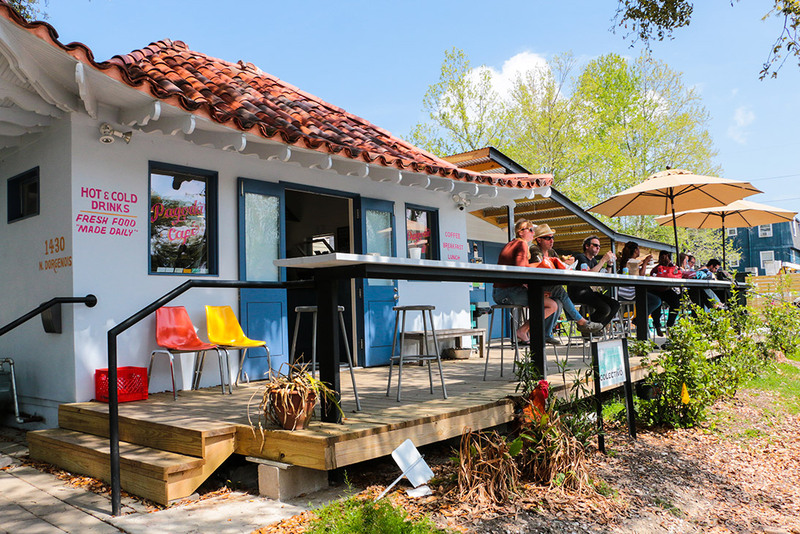 Though normally closed, Café Degas will offer dinner on Tuesday, April 30 from 5:30 to 10:00 p.m. for those in town the week between Jazz Fest weekends. Look for drink specials ($5 sparkling wine, mimosas, and Bloody Marys) on the Thursdays and Fridays of Jazz Fest and get one to go for the walk to Jazz Fest. Reservations are recommended. A stone’s throw from the Fair Grounds, Catty Shack Tex Mex is an unassuming neighborhood eatery that may pleasantly surprise you, especially if you enjoy Tex Mex. During Jazz Fest, Catty Shack will have a limited menu with some of their most popular tacos (including brisket, catfish, ground Angus beef, and a vegetarian option) and dips. Try the Cattyfish tacos, made with wild, local Des Allemands catfish and served with chipotle mayo, cabbage, and cilantro. In the mood for some queso and chips? Order the spicy white queso served with house-made chips. Looking for a place to stop for a refresher? Take a cup of fresh brewed iced tea from Coast Roast or Frozay (frozen rosé) to go. 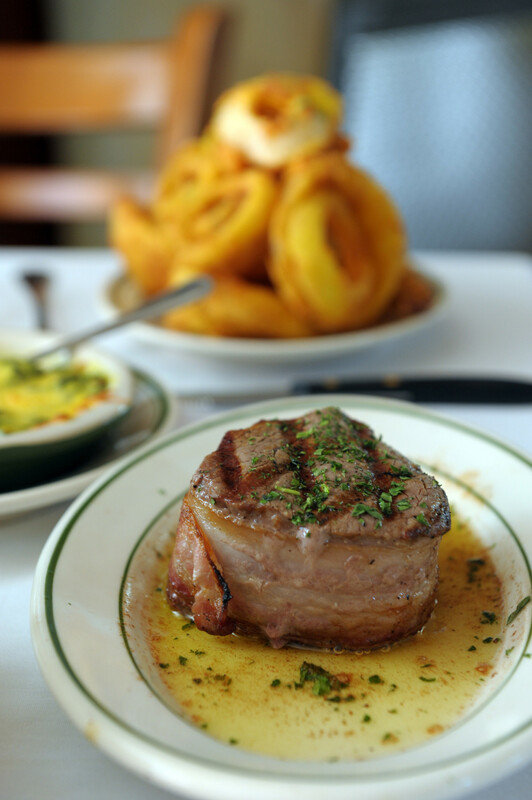 The oldest, family-owned local steakhouse, Crescent City Steaks, has been operating since 1934. While this may not be the place to go after a day spent rubbing shoulders with Parrotheads, if you plan to take a day off from the festivities, having a juicy steak may be a way to do it. In addition to the various steaks on the menu (rib eye, filet wrapped in bacon, porterhouse, strip sirloin, and t-bone), Crescent City Steaks offers about 10 different types of potato dishes (au gratin and shoestring to name a few), veggie sides like sautéed asparagus, and bread pudding for dessert. One of several proprietors that has opened up along Bayou Road, the Half Shell on the Bayou serves up Creole and Cajun food, including seafood dishes. Shrimp Creole, crab cakes, seafood gumbo, BBQ shrimp, and po-boys are all on the menu. While in season, they also have fresh-shucked oysters which should not be missed. Liuzza’s by the Track has that old-school, neighborhood bar/po-boy shop vibe. Right next to one of the Jazz Fest entrances, it makes for an easy lunch stop before heading into the festival. 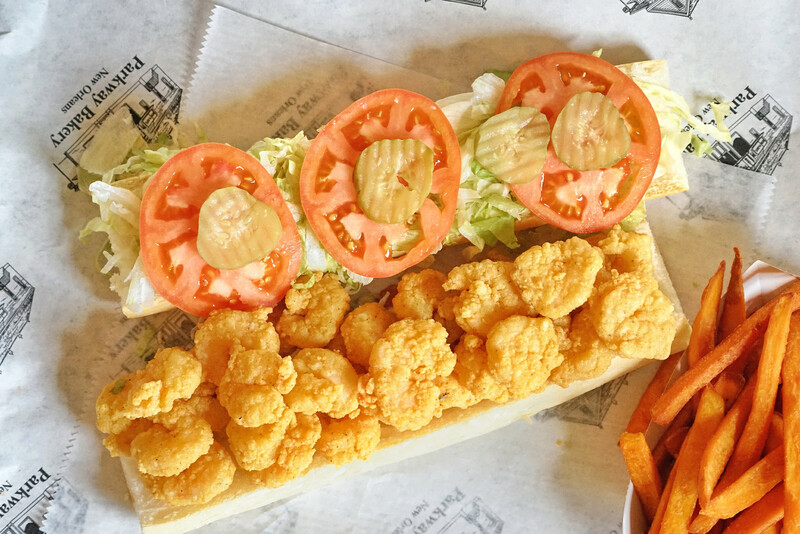 Order the BBQ shrimp po-boy or the garlic oyster po-boy (or one of the many other types). If you are looking to try more food, order the 1/2 po-boy and cup of soup combo. Tip: don’t confuse Liuzza’s by the Track with Liuzza’s Restaurant & Bar on Bienville Street, or you will find yourself a bit further away from the festival grounds. Lola’s has been serving traditional Spanish cuisine for 25 years. 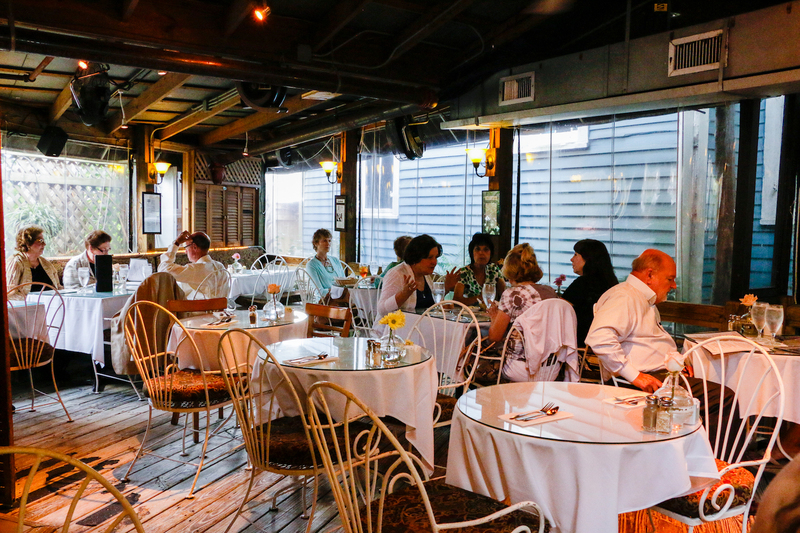 Located on Esplanade in a seafoam green building within walking distance to Jazz Fest, Lola’s is open for dinner nightly. Gazpacho and paella (meat, seafood, and vegetable options) are, of course, on the menu. Caldereta, an Andalusian lamb stew, would no doubt absorb any drinks you have had during the day. The lesser-known dish, ajoblanco is a traditional Andalusian almond soup served cold—perfect to cool down after a hot day. Don’t forget to save room for the flan. One of the more unique cafes around town in terms of ambiance, Pagoda is located in a former dry cleaner designed to look like, well, a pagoda. It is tiny and charming as can be with an outdoor patio for warm, sunny days. Pagoda is open for coffee, serving French Truck Coffee, breakfast, and lunch and offers a surprisingly wide array of options for its size. Breakfast tacos are on the menu and a wise choice to devour en route to Jazz Fest. Pagoda also serves sandwiches, sweet and savory pastries, soups, salads, overnight oats, and more. Parkway Bakery & Tavern is slightly more removed from Jazz Fest, though it certainly could make for a lovely stroll along Bayou St. John. Parkway has expanded the restaurant in recent years due to its popularity. Despite this, you might expect to wait in line to place your order at the window. If you don’t fancy standing in line, you may luck out and find seats in the front by the bar. Regardless of where you place your order, the food is sure to be delicious. 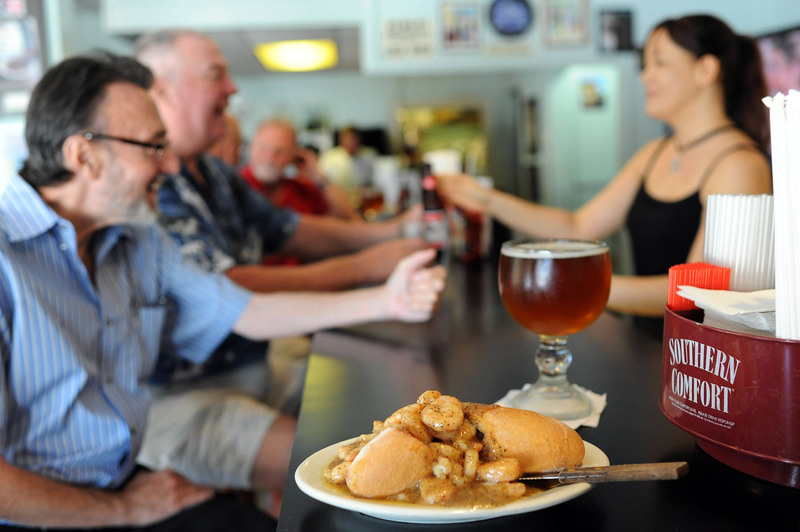 If you have a po-boy hankering, order the roast beef with gravy or the smoked alligator sausage po-boys. If you prefer gumbo, you will not go wrong with the alligator sausage and turkey gumbo. The empanadas are good, but to really experience all that Santa Fe has to offer, look to the entrees on the menu. Order the Santa Fe Combo to try several things at once—the chicken enchilada, beef relleno, and chicken or pork tamale with poblano sauce and cheese. Or, for a classic, order the carne asada steak with chimichurri. Within walking distance of the Fair Grounds, Santa Fe offers plenty of seating for weary fest-goers at the end of a long day in the sun. Order a margarita pitcher to cool down. Next door to the Fair Grounds, the aptly named Toast has all manner of toasts and breakfast goodies. Toast variations range from ratatouille, ricotta, and a fried egg to bacon, mushrooms, and a fried egg. If ordering a toast sounds too hipster for you, order a crêpe with lemon curd and cream, fried chicken and waffles with maple syrup and cayenne butter, or an omelette with bacon, spinach, and Gruyère cheese. Whatever your taste, Toast is the perfect pit stop to fill up your stomach before hitting Jazz Fest.